Bench Accounting is an online subscription service designed for small businesses. Subscribers are partnered with an in-house bookkeeping team that helps them import bank statements, fulfill transactions, and prepare financial statements monthly among others. In this article, we cover user reviews and pricing. Ready to try Bench Accounting? Get a free trial. 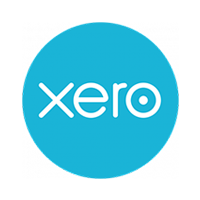 Users who gave Bench Accounting a positive review like that it isn’t just software and instead connects small businesses with a team of bookkeepers. Others said that they appreciate having all their complicated accounting tasks done by someone else so that they can focus on the other aspects of their business. Users who gave Bench Accounting a negative review complained that it is difficult to communicate with the sales and bookkeeping teams. Some others also noted that while the service works for small companies, it might be problematic for those with large workloads. Bench Accounting has five plans, billed monthly: Starter ($125/month), Micro ($145/month), Boutique ($195/month), Venture ($255/month), and Corporate ($345/month). Those who opt for annual billing are given a discount on their monthly fee. The main difference between the plans is the user’s average monthly expense. All plans include monthly bookkeeping services for up to 15 financial accounts, including credit cards, merchant processors, bank accounts, and loans. Contact their sales team if you need to manage more than 15 accounts. Ready to try Bench Accounting? Get a free trial. 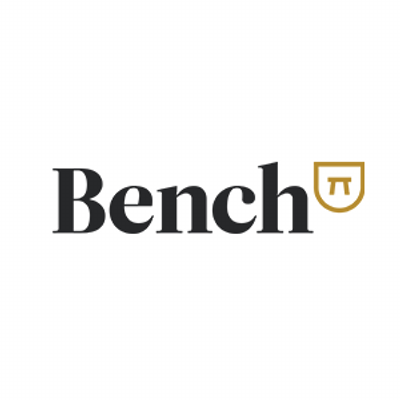 What does Bench Accounting’s free trial cover? Bench Accounting’s free trial covers one month of bookkeeping services, including a balance sheet and an income statement. What does the year-end financial package include? The year-end financial package includes a balance sheet, journal entry summary, trial balance, general ledger, and an income statement. It is downloadable as an Excel file. Not sure if Bench Accounting is the right fit for you? 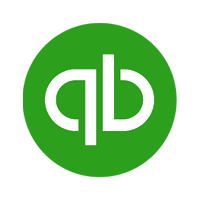 Read our reviews of all top accounting software providers or check out one of these three Bench Accounting competitors. Ease of use as well as strong consistent communication. Their reporting interface gives a great overview of your income, expenses, and profitability in an easy to read format. I use this along with the line item reporting to make sure that my own internal monthly budgets match. This way I have a double check system for both my overall cash flow and the recorded income and expenses. The software isn’t really a day to day cash or accounting service. If you are looking to just unload all your budget duties to an accounting group this will not be a good fit. They don’t process your accounts on a day to day basis. So in this way you really need to keep your own books for the day to day income and expenses. Another issue I have had is the service’s connectivity to my bank. We have run into issues periodically with it dropping the connection forcing me to manually upload my statements to Bench so they can do my books. That they don’t submit your books to you until 15 business days in the following month. Not a big deal but just something to be aware of. It organizes the financials of small businesses and helps entrepreneurs to set up their business easily. For long term it may not be an ideal solution as business grows it may fail due to heavy workload. But for the initial phase it is very productive. Well, i found all the information available on the website. Also, whenever i needed help, i got assistance from customer service quickly. It can fail the handling of large workloads, it is not very suitable for it. Of rest, everything has worked very well. The processing of the large amount of work. Bench makes bookkeeping easy because it does the heavy lifting (reconciling accounts). It also has interactive reports and a year-end financial export for your accountant. This makes it easy to keep a pulse on your business health and file annual taxes. I eventually went with a competitor because the Bench pricing structure did not work for me. It would also be nice if Bench had more integrations to automatically import those transactions. I didn’t find any hidden surprises. The company was straightforward and correspondence was easy. What a great alternative to some of the expensive solutions out there! I think this system/service can take care of the inevitable headaches that come from book keeping and accounting! There’s nothing bad to say here, other than that they play in a competitive industry, so keeping the service and customer satisfaction up is key! Nothing at all. i think it is straight forward, and they do a great job communicating.